Accredited Pharmacist - Managing Director. 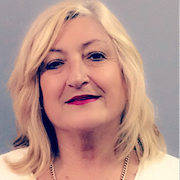 Keryn has 35 years experience as a pharmacist in hospital and community pharmacy as well as aged care and correctional medication management. Keryn had a ministerial appointment in a major Regional Hospital and Chaired the Human Research and Ethics committee. Keryn also developed the RxRight Medication Management system. 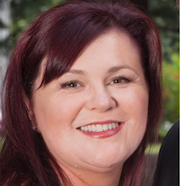 Keri was raised in Marlborough New Zealand, and completed her BPharm at Otago University in 1993. She has now had 17 years experience as a retail Pharmacist in NZ, Australia and the UK. Keri has been accredited to perform medication reviews since 2002, and is involved in both HMR and RMMR's. Keri has 2 children aged 9 and 6 and is actively involved in the school community, and also co-manages a local organic food co-op. Bev was raised in South Africa and received a nursing degree qualifying in general, midwifery, community health and psychiatry. Bev has experience in all areas, but focused mainly on psychiatry and Bev was a charge nurse of a short term psychiatric unit. Bev has worked at Mederev for 8 years since moving to Australia from New Zealand. Bev has 2 children aged 18 and 15 years old and enjoys travelling, reading, musicals and exploring Melbourne. I was born and bred in Sydney and moved to Melbourne when I met my now husband. I have a Diploma in Chemistry and spent 10 years working in an Environmental Laboratory and on contaminated sites. Over the years I moved into more administrative work which has led me to where I am today. I love doing weight training at the gym, travelling around Australia and in my spare time I like to read and drink wine. I immigrated from South Africa 15 years ago where I managed a division of a national recruitment company. I went onto consulting in the areas of Training and Remuneration evaluation. On arrival in Australia we bought into the restaurant trade, running two restaurants in Queensland, and as the master franchisees for QLD we handled the complete training and assisted set-ups of any other franchisees entering the state. I have two children and since starting my family, I have worked on many contracts and projects in both the legal and recruitment field. Rosemary graduated from Bath University (UK) in 1970 with B.Pharm (Hons) and she emigrated to Australia in 1976. Rosemary has nearly 50 years experience in retail pharmacy including owning and managing her own pharmacy for 30years. Rosemary became accredited in 2002 and she has 2 adult daughters and 3 small grandchildren and she loves spending time with them as well as gardening, reading and socialising with friends. 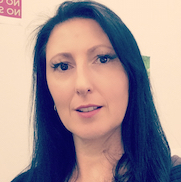 Justine graduated from University of Sydney in 1992 and she has 25 years experience as a registered pharmacist working through Sydney, the Central Coast and Newcastle. Justine formerly owned two community pharmacies which she sold to concentrate on bringing up her family. Accredited in 2010 Justine has thoroughly enjoyed all aspects of being an accredited pharmacist. 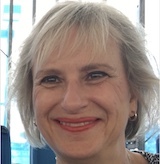 She is involved in RMMRs, HMRs and insurance medication reviews and also does one or two days a week at the coalface of community pharmacy. Justine loves living at beautiful Lake Macquarie with her partner, our combined 5 kids, 2 dogs and a turtle. Life is never boring and Justine enjoys travelling - next stop on the bucket list - Italy. Alexander graduated from Monash University in Melbourne and has since developed an extensive career in clinical pharmacy. A hospital trained pharmacist from both the public and private systems, Alexander has worked closely with some of Melbourne’s best specialists. He has a professional honours in clinical pharmacy and is furthering his education by obtaining a Masters in Clinical Pharmacy. He has been involved with the teaching of medical students in pharmacology and undertaken research about the use of medications and the role that clinical pharmacists can play in the healthcare team. Outside of pharmacy, Alexander cares about his girls (wife and daughter) and King Charles Cavalier dearly, and enjoys training in martial arts. Saalihah has 3 children and she is a part-time Clinical Pharmacist in private hospital practice as well as a Consultant Pharmacist conducting medication reviews in the community setting and aged care sector along with her passion for inspiring and motivating individuals as a Personal Development Coach. With more than 15 years of pharmacy experience across retail, hospital and community settings, Saalihah has an expansive knowledge and skill base which makes her a specialist in her field. Saalihah has undertaken voluntary roles with the various Share the Dignity initiatives, the Bali Life Foundation, the Skilling Queenslanders for work programs through Logan Women’s Health & Wellbeing Centre, and also in the organising and co-ordination of Breast Cancer fundraising events. Natasha has 10 years experience as a pharmacist in hospital pharmacy. She has worked in London, Melbourne and Vanuatu. Natasha became an accredited pharmacist in 2014 and is involved in both HMR and RMMR’s. Currently she is also studying her Masters of Health Economics part time. In her spare time she enjoys relaxing with a book, spending time with friends and family and is an avid bird watcher. Robin completed his pharmacy qualifications at Monash University in Melbourne, and then went to work in academia with the Pharmaceutical Society of Australia, North West Melbourne Division of General Practice, Pharmacy Guild and Monash University. He also has extensive experience in community pharmacy working in Victoria, SA, Qld and NSW, including in rural and isolated areas as well as overseas. Rashida, otherwise known as Rashi has over 25 years of pharmacy experience. She has owned her own community pharmacy businesses in country South Australia, developing projects to improve Aboriginal health. Rashi has worked in hospitals, nursing homes, lectured in pharmacy practice at the University of South Australia and worked in a GP Super clinic, which is a joint venture with the University of South Australia. 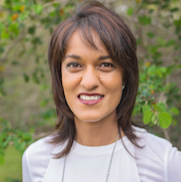 Currently Rashi lives on the Sunshine Coast, QLD and juggles her time by keeping her hand in Community Pharmacy, performing HMR’S and RMMR’S, examining pre-reg students with AHPRA and is a teacher of yoga and mindfulness. She enjoys time with her husband and 6 children and is involved in raising money for charities overseas and in Australia. 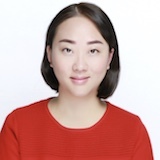 Jiaqi graduated from Sichuan university China and Curtin universtiy Perth in 2008/2011 respectively, and became an accredited pharmacist later for both HMR and RMMR. She has extensive experiences in community pharmacies in WA and enthusiasm on optimizing QUM. She also has the strong motivation to facilitate the general healthcare through all aspects in community pharmacy as well as aged care facilities. She deeply loves her two little boys and enjoys her time with family and friends after work. Lyndel has 7 years experience as a community pharmacist. 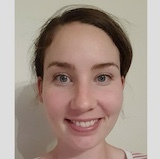 A graduate of Charles Sturt University Wagga, she has a passion for rural pharmacy and has worked across the Central West and Riverina regions of NSW. In her spare time, she enjoys (dreaming of) travel and spending time with her husband and one year son. Having studied and worked in both hospital and community pharmacy in South Africa, Anne travelled with her family to Mauritius where she opened her own retail pharmacy. After several years the family immigrated to Australia and settled on the Gold Coast. Anne works in community pharmacy as well as undertaking HMRs. She also has had experience working as a Pain Program Clinical Facilitator in a Pain Program on the Gold Coast. She enjoys travelling and has two daughters who currently reside in London.